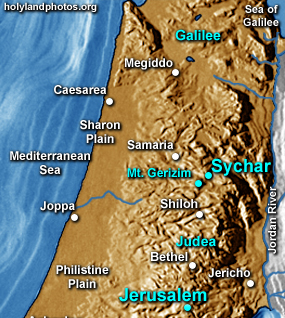 Just to the east northeast of the city of Nablus is the small suburb of Askar (New Testament Sychar). Here the Greek Orthodox purchased the ruins of churches that preserved the memory of Jesus' meeting with the Samaritan Woman at the Well (John 4). The construction of the new church was halted after only portions of the exterior walls were constructed. After lying dormant for over 80 years the church was completed in 2007.